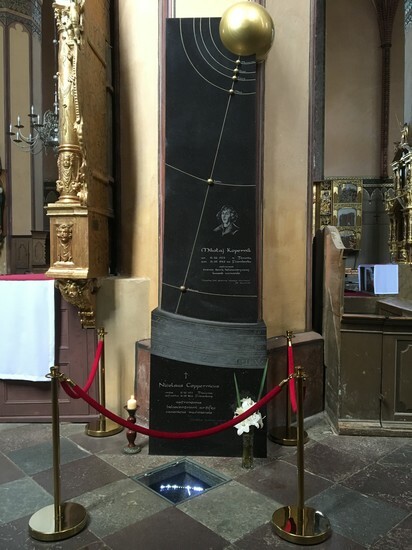 The key sight in the cathedral is the grave of Nicolaus Copernicus, which can be found in the South Nave. 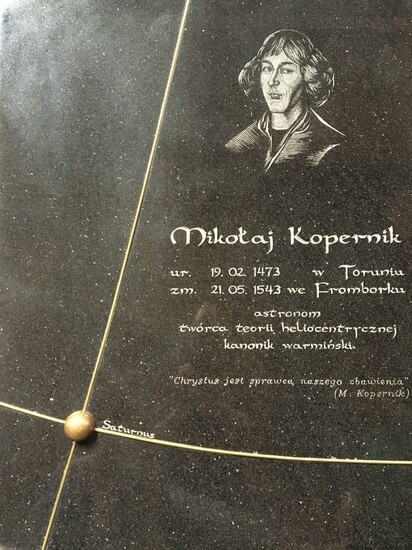 Located in the spot where the remains were discovered that were finally proved to be those of Copernicus, the grave features a black granite tombstone which identifies the great man as a canon and the man who discovered the heliocentric theory. 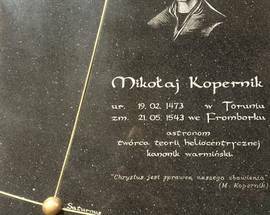 The tombstone bears a representation of Copernicus’ model of the solar system – a golden sun encircled by six planets. 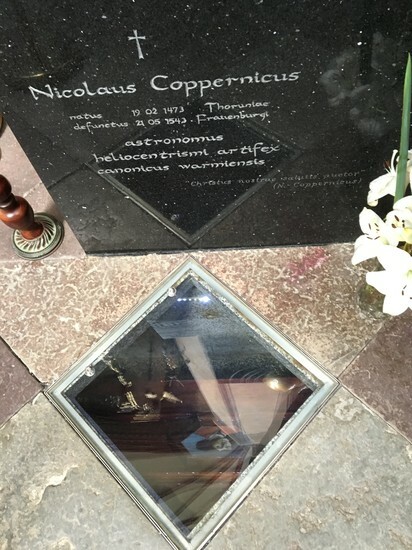 Look down and you will see the small coffin in which the remains were re-buried, through the glass floor. 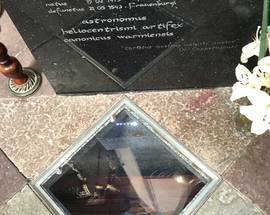 As you'll see from nearby poster displays, the reburial was attended by a number of high-ranking clergy. Open 10:00 – 15:00. Sun 12:10 - 15:00 , Closed Mon. Last entrance 30 minutes before closing. 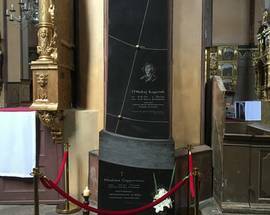 No visiting during mass please.